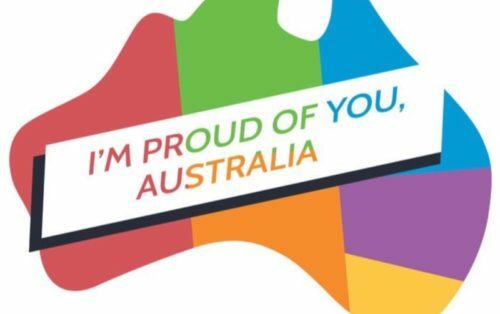 Australians have made history, voting overwhelming in favor of marriage equality. 61.1% of those participating voted yes. Celebrities – both Aussies and international – took to social media to celebrate the win and we’ve rounded up the best of them for you. Check them out and share the ones you love best. #Australia … ?? #MarriageEquality ? Love is love, always was love, always will be love. YES YES YES YES YES AUSTRALIA – YES!!!!!!! ???????????????????? ?️‍??️‍??️‍??️‍? LOVE JUST WON IN AUSTRALIA AND I’M SO PROUD AND EMOTIONAL AND WISH I WAS HOME ?️‍??️‍??️‍??️‍? Finally equality in Australia. Shameful that the government forced its citizens to beg, plead and compete for what is a basic human right. 60% of the country voted YES. Thank you and congratulations. Welp, guess I'll move to Australia now and try to get Nicole Kidman to marry Cate Blanchett.